John Krasinski has shown his true talent as director and star of the new thriller A Quiet Place where he both helmed the film and performed alongside his onscreen and real-life spouse, Emily Blunt. After seeing the immense success of this ironically silent horror film, it is no surprise that Krasinski will, once again, work with A Quiet Place’s extraordinarily successful producers. Surprisingly, one such returning producer is actually Transformers tycoon Michael Bay. Brad Fuller and Andrew Form will also be making the leap from A Quiet Place to the new film Life on Mars. According to The Hollywood Reporter, Paramount may just finish successful talks with the minds behind the film, landing a deal to produce and potentially distribute Kransinski’s new movie. However, no one has penned a script yet, which means that right now an idea is the thing being traded. This is actually more typical than many would believe in Hollywood. Hopefully a talented screenwriter will join the team as well. 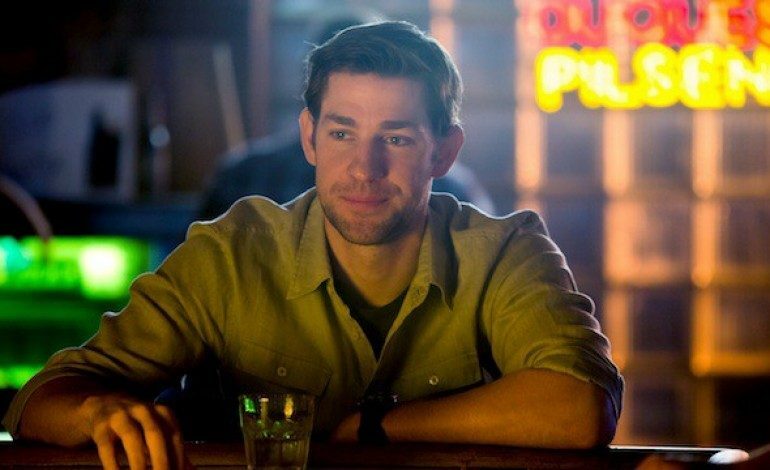 As for Krasinski, don’t expect A Quiet Place part deux, as he has not signed on to act in the movie. Still, he has elaborated that he will produce. It’s also thanks to him that the film is coming to fruition, as he located the work from which it will be adapted. The film gathers its source material from Cecil Castellucci, who wrote a short story based in sci-fi called We Have Always Lived on Mars. Presumably, the movie will follow at least part of the story’s narrative, following a woman who lives as part of a suffering Martian Colony, whose existence and functioning on the planet is shrouded in a mystery she begins to unravel. As of yet, no release date for the film has been named.